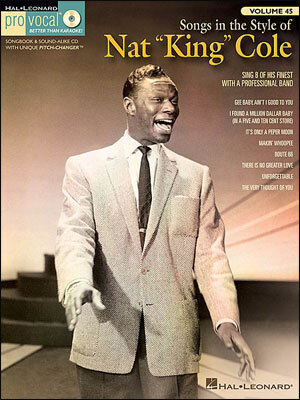 Nat King Cole's smooth, soft baritone is one of the most easily identifiable voices in popular music. His band, the Nat King Cole Trio, signed with Capitol Records in 1943 and was largely responsible for the label's success during this period. In fact, the company's famous circular office building in Los Angeles is often called "The House That Nat Built" for this reason. Many of his hits have become timeless pop standards, including Mona Lisa, Too Young, and, of course, Unforgettable. 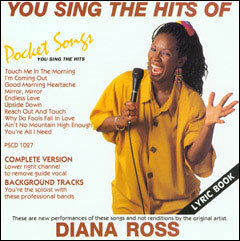 Sing these and other fantastic songs by one of America's finest singers! Non-graphic. 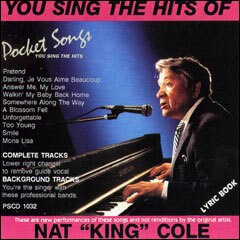 Each Pocket Songs PSCD album contains a complete performance with a professional vocalist as well as the karaoke tracks of each song, for the at-home performer. PSCD discs can be played on a regular CD player and do not contain graphics.